Through the scheduling system KLIK HERE you'll be able to schedule one of the many scheduled or chartered flights. To get the award you must make 1 flight at least 400nm long or 2 flights of any length. To participate as ATCs send an e-mail to it-aoc@ivao.aero , or limm-ch@ivao.aero , limm-ach@ivao.aero . IVAO UK's legendary "Real Airport" event is back, and this time we're going to Manchester! On Saturday 23rd October, between 13z and 19z choose from any of the 200 real flights which will be on offer. Whether you have a preference for short or long haul, there is guaranteed to be something for everyone at this event. ATC will be provided from a live ACC in West Sussex with over 14 active positions! If you like to be number 4 on the ILS, taxi behind 4 other aircraft towards the runwayor join a holding pattern with several other aircraft, then this is the event for you. Make sure you're there, we're waiting. Booking for this event is unlike any other. Up until 1 hour before the event, you can only register an interest in a flight. Up to 3 people may register an interest for any one flight. On the day of the event, 5 hours before each flight is due to depart, an email will be sent to the first person who registered an interest in that flight. The email will contain a validation link which will confirm that person would still like to fly that particular flight. Please Note - You will only have 4 hours from the moment the email is sent to confirm your attendance. If after 4 hours, no confirmation is received, an email will be sent to the 2nd and 3rd people telling them that the flight is available and to visit the website and book it if they would like to. Either person can book the flight, it depends who books it through the booking system first. Anyone else viewing the booking system at that time may also book the flight. When selecting your flight, pay careful attention to the slot time. As we are using real flight schedules with a large number of flights, delays are inevitable. As a result, we have simulated the delays that each aircraft had. - Slot Times in green have a take off time that is between -5 minutes and +10 minutes of the ETD, thus are not classed as having a delay. - Slot times in blue have a take off that is more than 5 minutes prior to the ETD, thus are classed as early. - Slot times in red have a take off time that is more than 10 minutes after the ETD, thus are classed as delayed flights. When departing, you should plan to pushback between 15 and 20 minutes before your slot. Due to the expected volume of traffic only flights listed on our schedule will be guaranteed a landing slot at Manchester. All other flights may be accepted subject to slot availability but could be diverted to Liverpool, Heathrow, Birmingham or Stansted. When booking flights, if it turns out you are number 2 or 3 in the queue for a flight, we would strongly suggest that you book another flight just in case to avoid disappointment. We also realise that if you don't get the flight you wanted, it is very tempting to fly a non scheduled flight. We can't stress enough that we would prefer you to fly a flight within our schedules. Non scheduled flights put a HUGE strain on the system and we cannot guarantee that they will all be able to land at Manchester. Divisions of Czech Republic, Slovakia and Hungary have prepared an event far from ordinary right for you! „Three Alliance“ event brings you full ATC coverage within our divisions including popular real flight operations. The event starts on friday 19th november 2010 at 17:00 UTC when Czech division comes online. Slovak and Hungarian divisions join next day, 20th november 2010, at 10:00 UTC. Czech division then ends on saturday at 23:00 UTC, Slovak and Hungarian divisions on sunday at 10:00 UTC. We point out, that each division will control from one room! That provides better coordination between ATC positions, and of course is bit closer to real ATC operations. You can watch our hard work during an event on provided webcams. The airport of Barcelona, commonly known as El Prat Airport, is located 10KM south east of Barcelona (Catalonia, Spain) near El Prat de Llobregat and Sant Boi towns. Barcelona El Prat is the second biggest airport in Spain, behind Madrid-Barajas, and the biggest one of Catalonia. It is the main hub of Spanair and Vueling, and an important destination for Iberia and Air Europa. Domestic and European flights are mainly operated in Barcelona, but there are also flights to the Asian Southeast, Latin America and North America. The flight service between Barcelona-Madrid, known as the "Air Bridge" (or "Puente aéreo" in Spanish) was the busiest route untill 2008, registering the highest amount of flight operations in 2007 (971 operations per week). This fact has been reduced since February 2008 due to the opening of the High Speed train line between this two cities, covering the distance in just 2 hours and 40 minutes. More than 600 departing and arriving flights will be held during the event, simulating the real operations of the same day in the real life. A group of designated controllers will be waiting you for the funnier and more real event in IVAO-ES. Enjoy one of the maximun-reality simulation situation. After a long period of hard work, we prepare ourselves for perhaps the biggest event of 2011 already we present the‘Real Flights Event Amsterdam’ . On Sunday the 6th February from 0300Z till 2300Z we simulates the real flight schedule of Amsterdam Airport Schiphol. The United Kingdom division of IVAO brings you the UK’s busiest airport, and the world’s busiest international airport, fully staffed on the 9th April 2011, with some of the best controllers in the community. From 1300z-1900z (1400 BST-2000 BST) , you as a pilot will be able to fly any of the hundreds of real flights available to book – flights which will be flown during those same 6 hours in real life! Whether you like long hauls or short domestic hops, there will be a flight for you. Over 20 active positions will be opened for the event, with many of them being controlled live from our Virtual Area Control Centre in Milton Keynes in the UK. We expect a few real London TMA controllers to join us to provide the finest ATC available. For more information, please see the full event page here. During the event, we will be running a datalink clearance system at Heathrow. Full details can be found in the Pilot briefing guide which will be available shortly. If you like to be number 6 on the ILS, taxi behind 4 other aircraft towards the runway or join a holding pattern with several other aircraft, then this is the event for you. Flying with IVAO does not get more real than this. Booking for this event is unlike any other. Bookings will open 14 days before the event. Up until 1 hour before the event, you can only register an interest in a flight. Up to 3 people may register an interest for any one flight. On the day of the event, 5 hours before each flight is due to depart, an email will be sent to the first person who registered an interest in that flight. The email will contain a validation link which will confirm that person would still like to fly that particular flight. You will have a short time to confirm your flight before it is offered to the other pilots who registered their interest. A more comprehensive guide to the booking system can be found on our event website here, along with links to full charts & scenery. Due to the expected volume of traffic only flights listed on our schedule will be guaranteed a landing slot at Heathrow. All other flights may be accepted subject to slot availability but could be diverted to Amsterdam, Brussels, Gatwick or Stansted. When flight booking opens, if it turns out you are number 2 or 3 in the queue for a flight, we would strongly suggest that you book another flight just in case to avoid disappointment. We are working hard to enter all the data, and hope to open bookings soon. We are excited about the event and look forward to seeing lots of you there to make this annual event another huge success! The IVAO UK Staff Team. After a long time finally a "feel the rush" event takes place again. This year it takes place at Seoul/Incheon (RKSI/ICN). We invite all pilots to fly on 16th April all day long to South Korea. This Event is very special; we'll try to simulate a whole day at Incheon Airport, so you can fly from 00z to 2359z You have the possibility to book more than 500 flights from and to all over the world. The following pages give you the opportunity to book your flight, to make you familiar with the Korean Procedures especially at Incheon and to learn something about Incheon International Airport. We offer you a booking system with about 500 flights. Europe, USA, Asia, Maledives, Japan up to special Flights - So everyone can book his desired flight. We also offer domnestic flights to Graz, Linz, Klagenfurt, Salzburg and Innsbruck for short haul Pilots. You can expect a full ATC coverage during the entire event! The Follow-Me Service will be provided with two cars in Vienna. The controllers will meet together in a school (of course it will be no math education Grin). This is a familiar tradition and it makes much more fun. Austria and enjoy a nice „Sachertorte“ or try a tasty „Wiener Schnitzel“ and let the frequencies glow!! 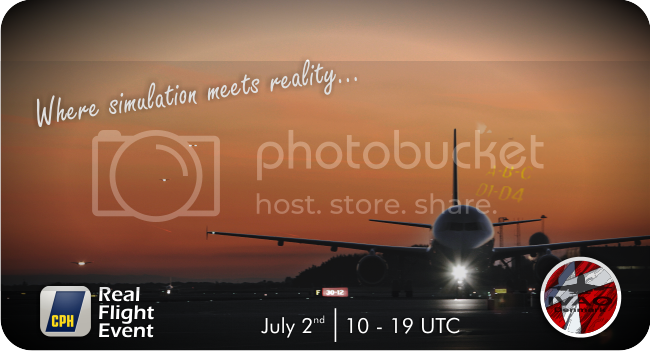 prepare your Flight Simulator for the Real Flight Event! Introducing the RFO (Real Flight Operations) in the beautiful islands of Fuerteventura and Lanzarote belonging to the Canaries and on the occasion of commemorating the day of the Canaries 2011. May 30 is recognized as the Day of the Canaries, this is a holiday in all the Canary Islands, which held all sorts of cultural and leisure activities, as well as various acts of the Canary Islands and Island councils of each island, also the President of the Canary Islands presented at a gala awards institutional Canaries and the Gold Medal as the culmination of activities that have been developed throughout the islands. The event will simulate real ATC procedures at airports in Fuerteventura (GCFV) and Lanzarote (GCRR) during the 28th of May between 0600Z and 2000Z. To give the best coverage during the event, will open more units than normal and the complexity of the segmentation, the drivers do participate that day in positions closely linked to the Canaries, have had to be pre-selected and have had to go through a short training process. On June 25th and 26th, Frankfurt airport celebrates its 75th anniversary! For this occasion, the airport operator will host a festival with many airport- and aviation-related exhibitions and attractions. IVAO Germany is proud to be the world's only flight simulation organisation to be invited to this event. This will give us the unique chance to present our network to 60,000 spectators and to introduce them into the complex and challenging world of virtual aviation. Visitors will be able to experience our slogan "As real as it gets" at first hand. In cooperation with the airport operator, we proudly present a Real Flight Event, (ideally) simulating 100 % of the real-world movements. ATC service on these two days will be provided live from Frankfurt's new runway! The booking system (which you will probably recognise from previous events) will go live in the near future with all of the inbound and outbound movements. As in the real world, individual slots (for flights not listed in the booking system) will not be available due to the sheer amount of traffic. For this reason, pilots without a valid slot can expect severe delays or even diversions to a nearby destination. Further details as well as the booking system are available on the dedicated event page. We kindly ask you to read through the briefing guide thoroughly to make sure that the event runs smoothly for all participants involved. The Danish division invites you to join this year's Copenhagen Real Flight Event! On Saturday, July 2nd, from 10 - 19 UTC, the Danish division will simulate real operations at Copenhagen - Kastrup. The IVAO Events Department, the Belgium Division, and all the members who participated on voting for Brussels as the host of the next Event will like to present Brussels Heart of Europe Real Flights Event. It's time to participate in a summer experience in the north, so you better not miss this one! On Saturday 30th July 2011, from 08:00z to 18:00z, the Belgium division will be hosting the event. On Saturday, September 10th, from 10 - 19 UTC, Danish and Swedish controllers will combine forces, reuniting a missing link of the North. On this day you can join in simulating real operations at Oslo - Gardermoen (ENGM). The airport will of course be fully staffed from Delivery and up, and whether you fancy domestic hops in the rugged terrain, intra- European flights or just simply long haul to Bangkok -Gardermoen has it! 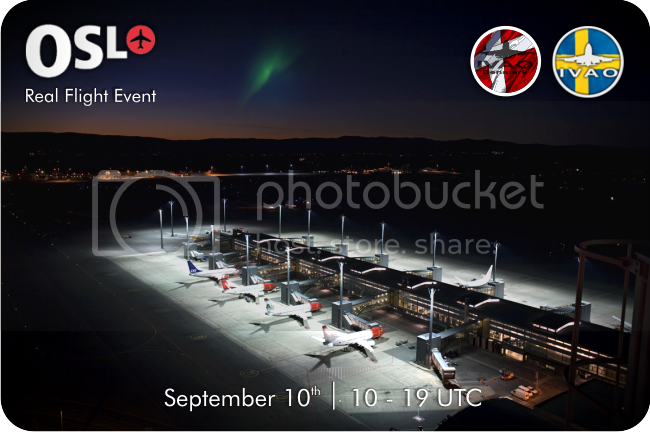 Do not hesitate to join in lighting up Norway's busiest airport! Hamburg Airport is one of the oldest airports which is still based at his original location. On 1st January 2011, Hamburg Airport celebrated his 100 anniversary - an anniversary that is still celebrated throughout the whole year. Therefore, we organize a Real Flight Event on 24th September 2011. Between 1500z and 1900z (1700-2100lcl) you are welcome to fly from and to Hamburg Airport. from 08:00 UTC to 20:00 UTC! We guarantee full coverage of LHBP – Budapest- airport. Welcome to Budapest, see you in the air, see you at Franz Liszt Airport! After the successful 2010 edition, one of the most important event for Italian division is back: MILAN - Real Flight Event that this year will involve not only Milan Malpensa (LIMC/MXP) but also Milan Linate (LIML/LIML) from 15.00 UTC till 21.00 UTC. With about 300 real flights inbound and outbound throughout the 6 hours of full ATC coverage, hopefully the event will make that Sunday a fantastc one for all participants with a huge amount of traffic in Italian skies. Through the Scheduling system, you can book your preferred flight(s) for the event. (be careful they don't overlap each other). Very important: please, BOOK YOUR FLIGHTS. Commercial flights not booked from the timetable will be diverted to LIMJ (Genova) and LIMF (Torino). Except for business flights inbound to Milan Linate (LIML) but bare in mind that the badge will not be assigned. It were some time last time we had it! But now it's time again! You are welcome to join the Stockholm Arlanda Real Flight Event 11:th December from 09:20 and rolling 8 hours! with around 300 flights ready for you! Note that the first Book able flights is from 09.20z. Full ATC service will be available from 09:10. After a great 2011 edition, why not another greater 2012 edition! this edition we simulating more flights then last year! Sunday 5th of February from 0400Z till 2300Z we will simulate a day in the life of Schiphol wit hall her flights. In total of 1036 flights can be booked, on this way you can simulate a realtime flight on IVAO itself. Also on peaktimes we will simulate more controller positions, like a startup and arrival frequency. We have done it again, On the 25th February we will simulate real operations at Zurich airport for 12 hours with approximately 290 flights. Full ATC service will be provided at Zurich and we hope we can get as many of neighboring FIR open so that you can enjoy a entire coverage of your flight. Zurich Airport is Switzerland's largest international flight gateway and a hub for our national airline Swiss International Airlines. In 2011, the airport handled 24.4 millions passengers which put it not far off the top 10 busiest airport in Europe. The United Kingdom division of IVAO brings you the UK’s busiest airport, and the world’s busiest international airport, fully staffed on the 14th April 2012, with some of the best controllers in the community. During the event, we will be running a datalink clearance system at Heathrow. Full details can be found in the Pilot briefing guide.